OS Detect - 32-bit or 64-bit? 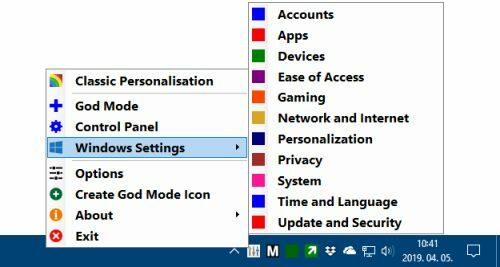 Win10 All Settings is a utility software that enables the use of different system settings. 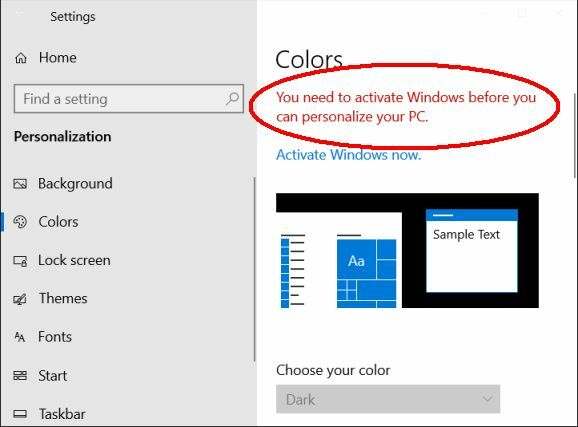 The main aim of the application is to help users customize Windows 10 in all circumstances with alternative configuration interfaces, and it can also perform some hidden settings. 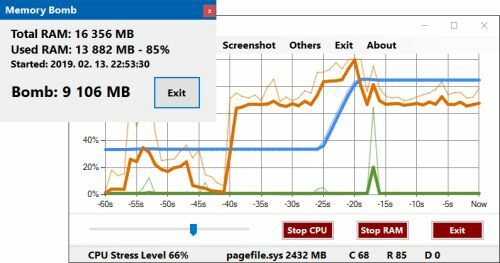 Precise CPU Stress can stress the system in an adjustable and variable level based on CPU and RAM usage. 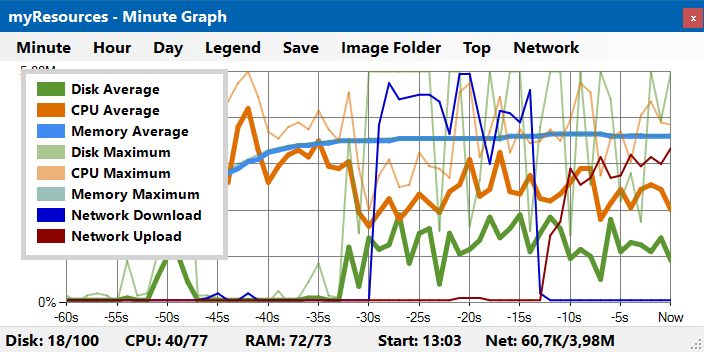 Resource usage is displayed on a graph. The software can analyze the internal processes of the computer, and provides a good basis for performance and stability tests as well. Easy Dark Mode is a useful utility software which facilitates the setup of Light and Dark display modes available in Windows 10, and enables quick switching between them. myProcesses is a versatile process manager software. It enables process-level monitoring of various computer processes, as well as carrying out actions related to the setting, registry, and management of individual processes. 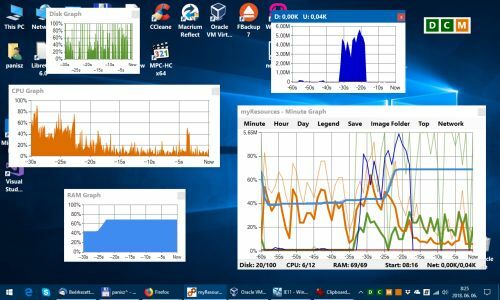 myResources displays the load status of the computer's basic resources (disk, CPU, memory, network) using graphs and active icons. The program is also capable of displaying resources on a merged graphic chart (SumGraph), giving you an informative and spectacular way of monitoring your computer's internal processes. Conventional computers provide some basic information with the help of LEDs. Modern computers often lack these LEDs or they are not in a clearly visible place. AddLEDs replaces or supplements them by means of software. 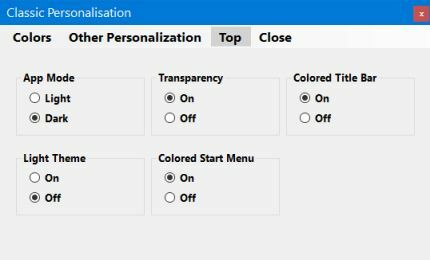 One of the major inventions in Windows 10 Fall Creators Update is the built-in colour filter. The colour filter radically change the appearance of your screen and its application can significantly improve your visual experience. Easy Invert makes it easier and automatable the use of the built-in colour filter feature. 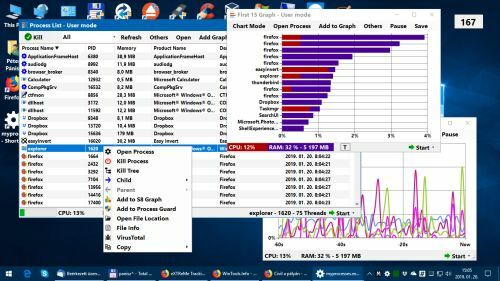 NetGraph is a free to use network bandwidth monitor. It shows real-time information about the state of network traffic in a visual display format selected by the user. NetGraph can monitor the data flows of wired, Wi-Fi and mobile broadband connections, as well as that of the local network and the internet.